Fleksy Keyboard application for Android was under closed beta testing for quite a few months, and now its available in the Google Play Store, which will come with a free 30-day trial after which you must shell out $3.99 if you want to use the keyboard application. This new keyboard comes with large keys and focuses on auto-correction. In fact, it’s auto-correction engine is claimed to be so correct that you can type without even looking at your screen. It also comes with swype and gesture support to remove and auto-correct keywords. It was originally designed for users with vision problems, with large on-screen keys to help you type faster. The application made its way to iOS last year, and is in closed beta for Android devices from the past few months. Fleksy is a state-of-the-art text input system so powerful that you can type without even looking at the screen. Download the app and discover a new way to type. 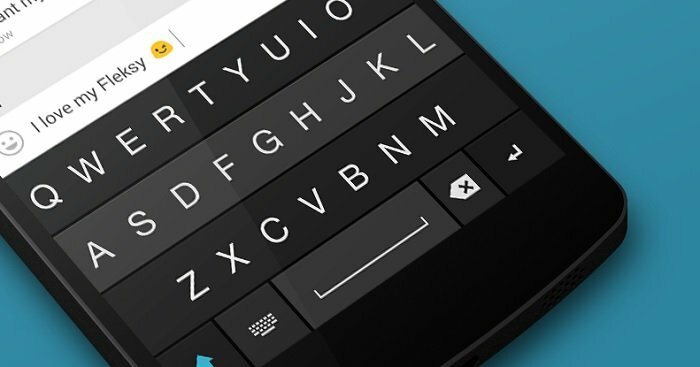 In the keyboard wars between Swype and SwiftKey, Fleksy could be a great competitor and it’s worth giving a try if you’re not happy with your default keyboard. Share you views if you tried Fleksy for Android. You can download the Fleksy Keyboard app from the Google Play Store.